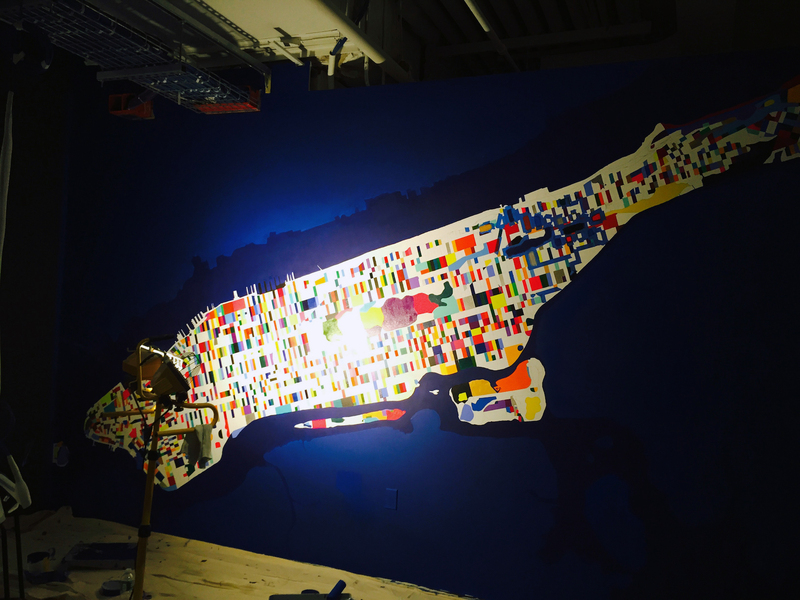 Manhattan is a place of stories, of extremes, of firsts, and of experiences to be had only on this island. Every person we meet on the sidewalks, in elevators, and in building lobbies is adding new memories to the narrative of this cityscape in their minds. 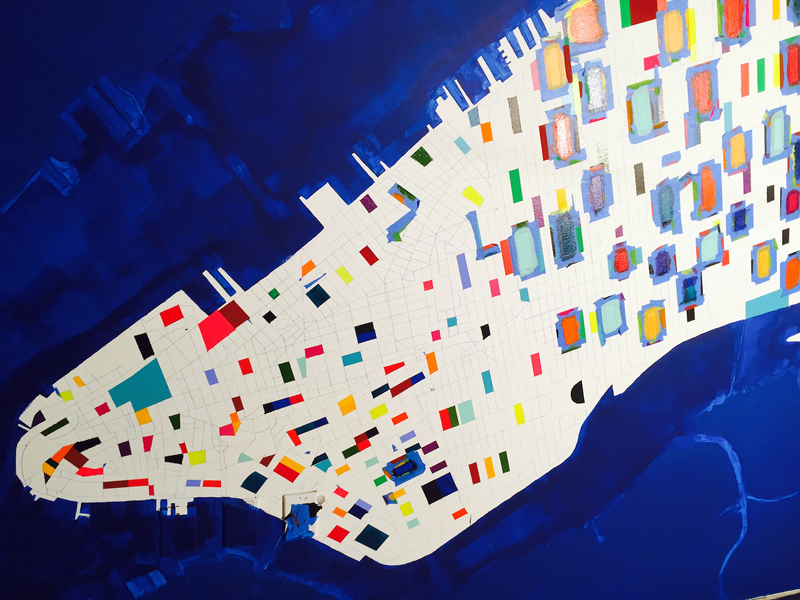 In a global city of millions, what shape does this Manhattan of our memories take? 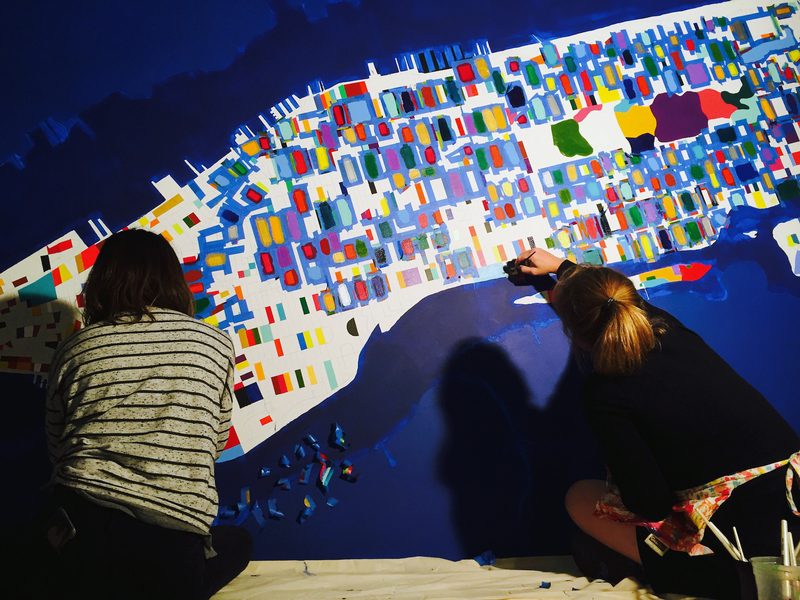 Manhattan Memories Map is a world-wide collaborative project for the Facebook AIR program that will visualize this living system of our collective memories. 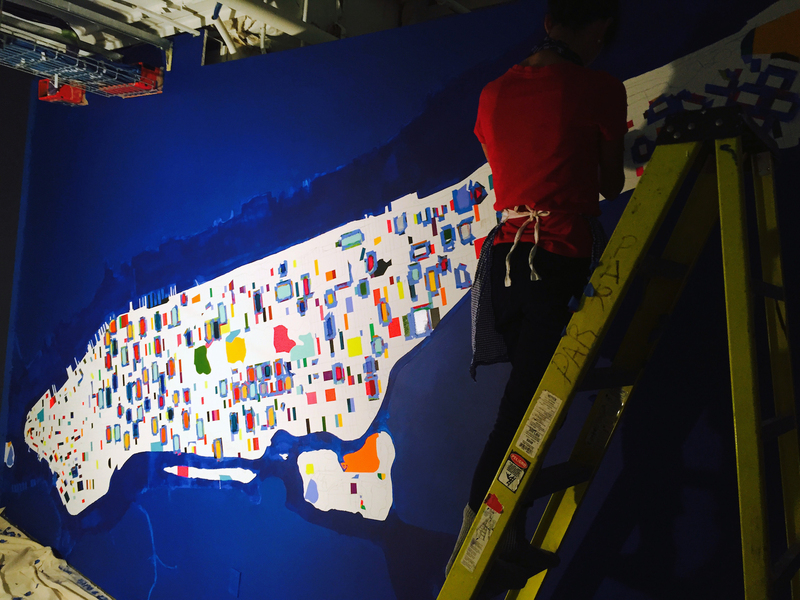 Photos from the creation of the Manhattan Memories Map mural at Facebook NY, September – December 2015. 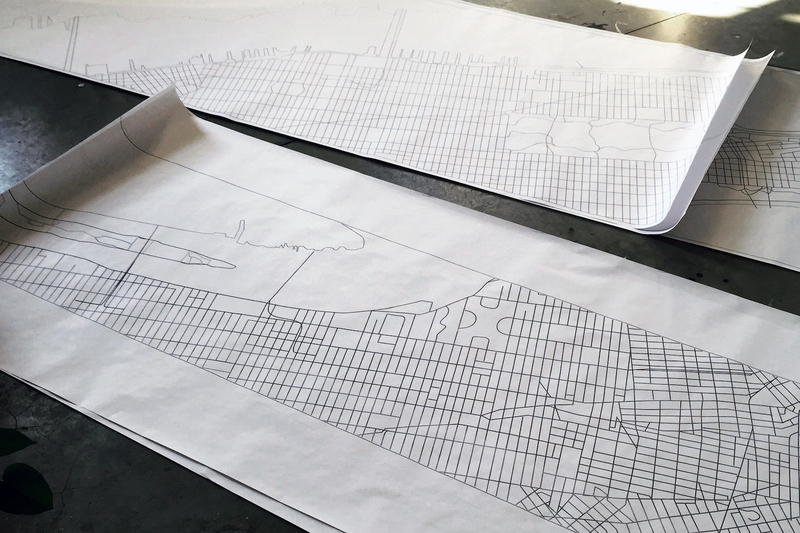 The map printed onto four panels, ready to be traced and painted. 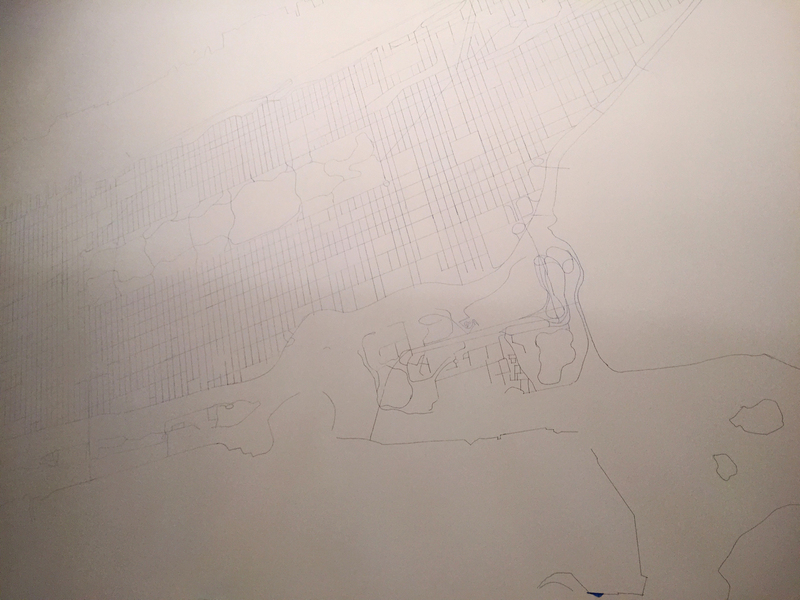 The Open Street Map of Manhattan traced with carbon paper onto the wall at Facebook NY at a scale of 1 in : 227 ft. The end of day two. Jennifer on the ladder painting Inwood. The “single block” method of taping the blocks for painting. The “plaid” method of taping the blocks. Assistants Naomi Reis and Alice Eldridge (Jonathan Bell and Yin Ho not pictured). Filling in the blocks very slowly over a few months. There are approximately 6,718 blocks in Manhattan. 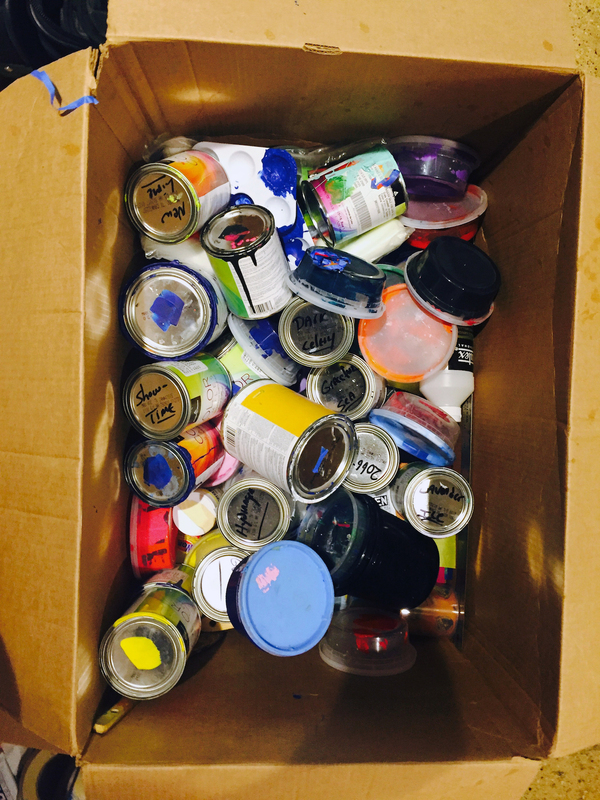 The last blocks to be painted. The West Village is confusing even making maps. After the final cleaning of the blocks' edges. 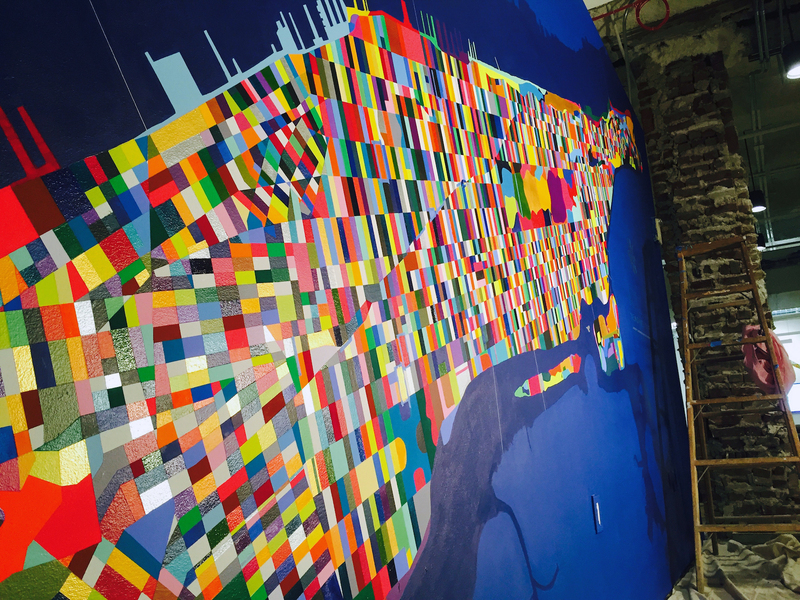 Photographing the mural to create a useable map site was tricky. I set up the camera at different levels on this ladder. 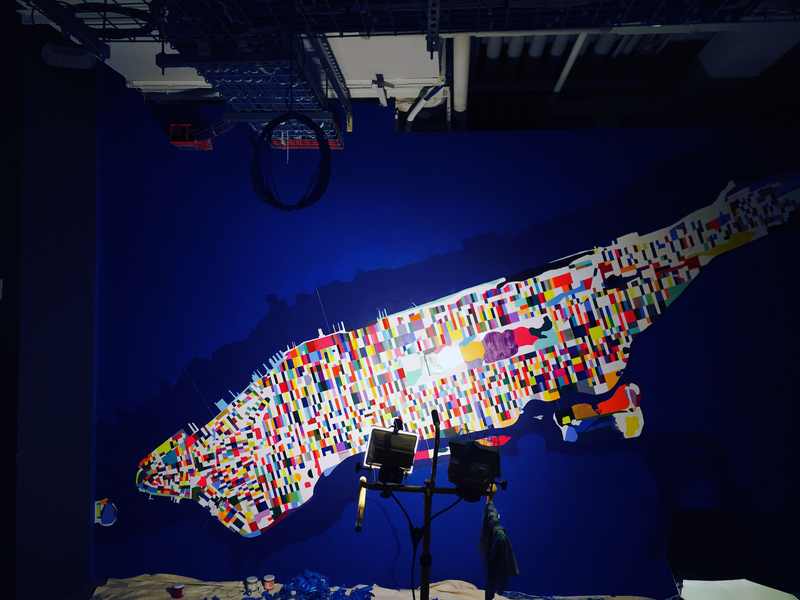 Each camera placement required three photos for three different lighting options to ensure the glossy paints wouldn’t interfere with capturing the correct colors. You’re looking at approximately 456 photos and more than 700 Photoshop layers. 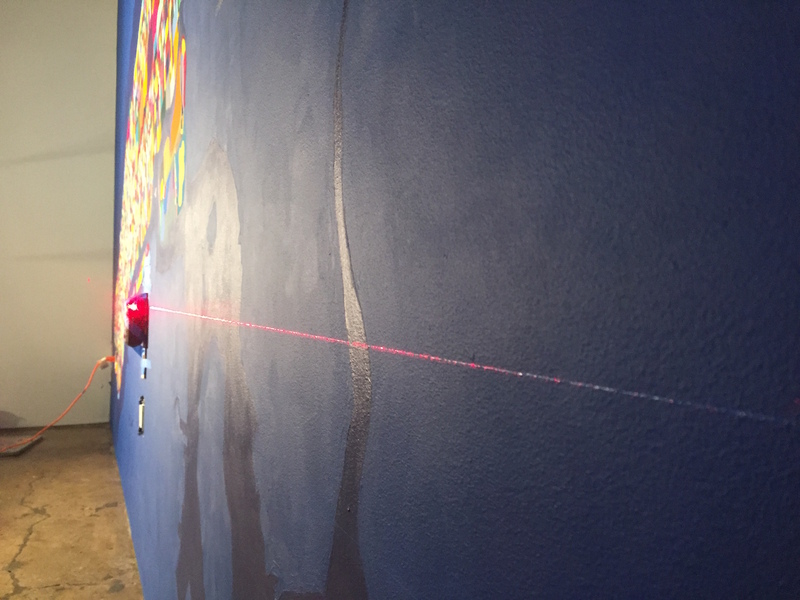 The pattern took a bit of experimentation but ultimately I used a laser level and measured every 2.5 inches across the entire 16 x 9 foot mural. Closeup of the triangulation pattern. Title with the final triangulation pattern. 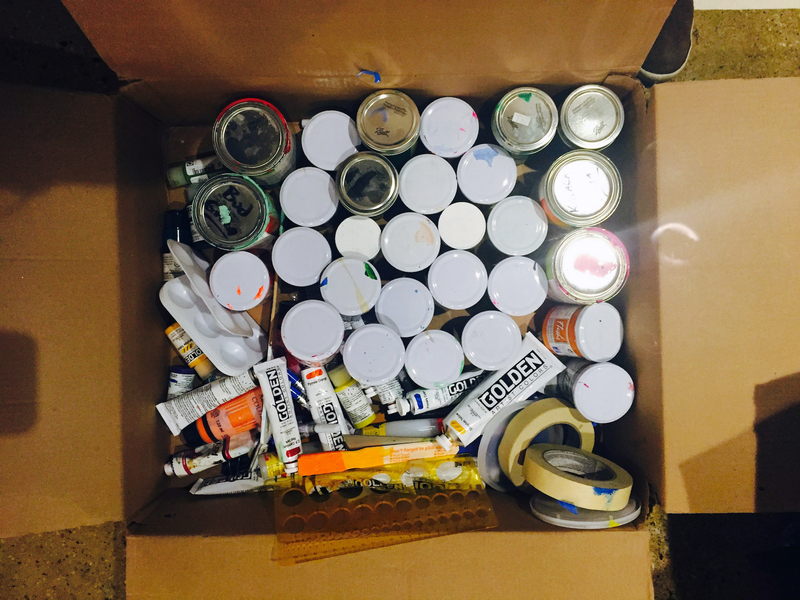 A box of paint organized (somewhat) by type. 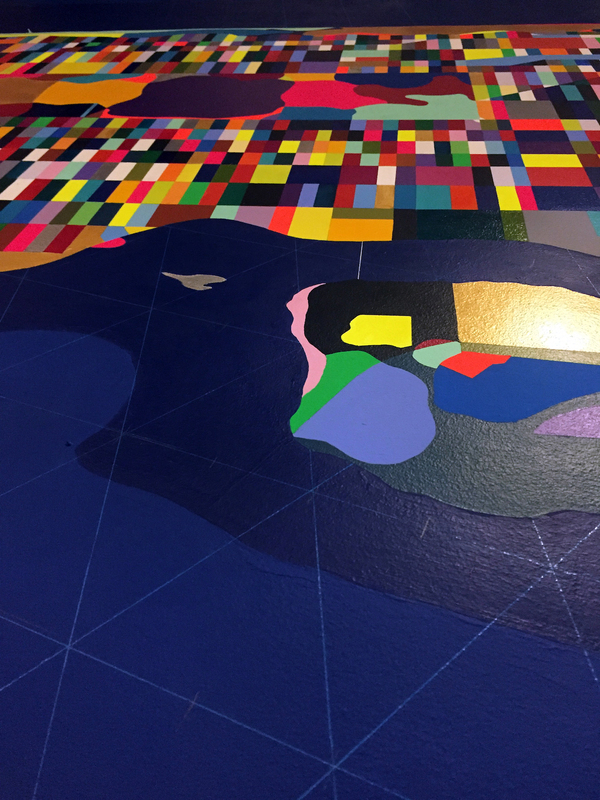 A broad range of color and sheen are present on the mural. 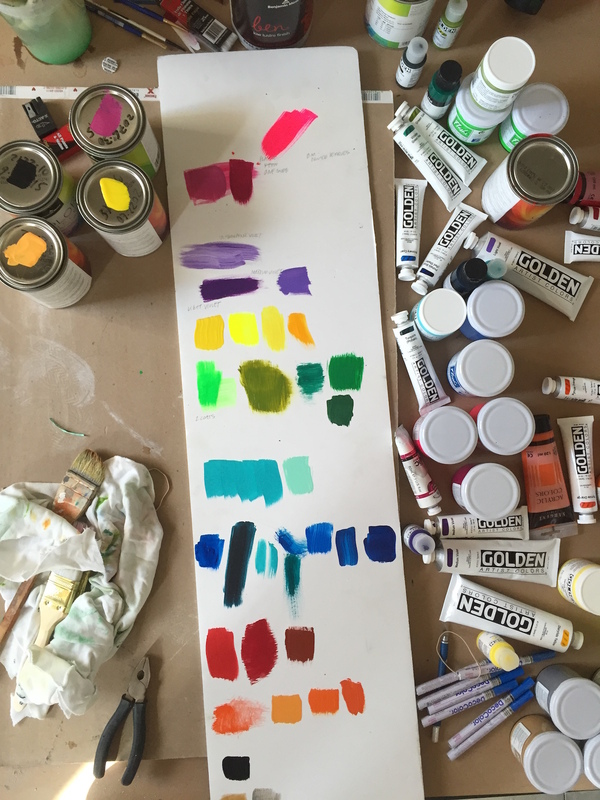 Studio Maravillas is a sibling duo: Jennifer Maravillas, a visual artist, and Matthew Maravillas, a software developer. 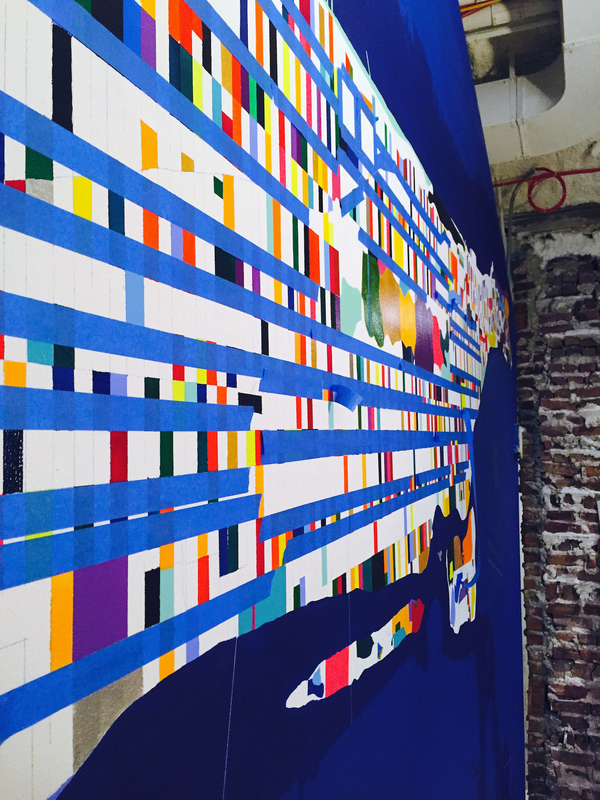 Their work combines social and cultural investigation with digital cartography. 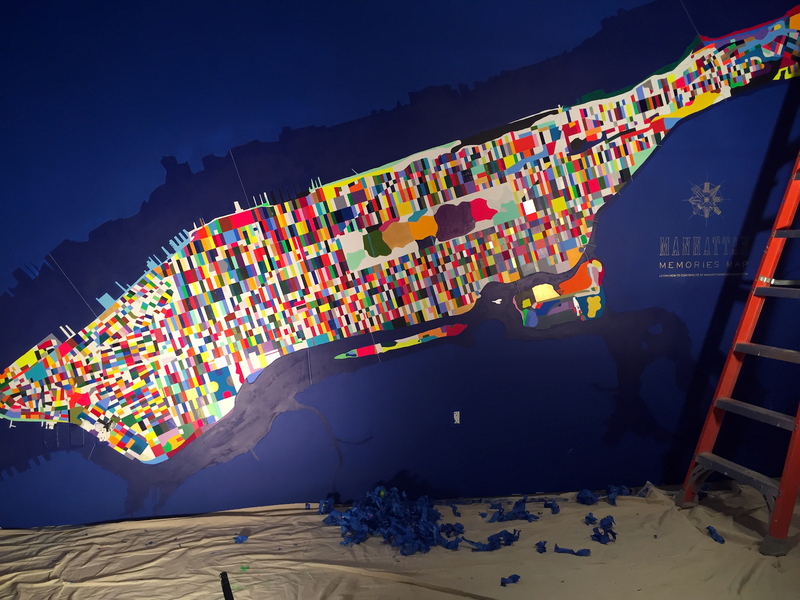 This year they published 71 Square Miles, a cartography of Brooklyn made of trash. Matthew and Jennifer grew up in southeastern Virginia after an early childhood as military brats. 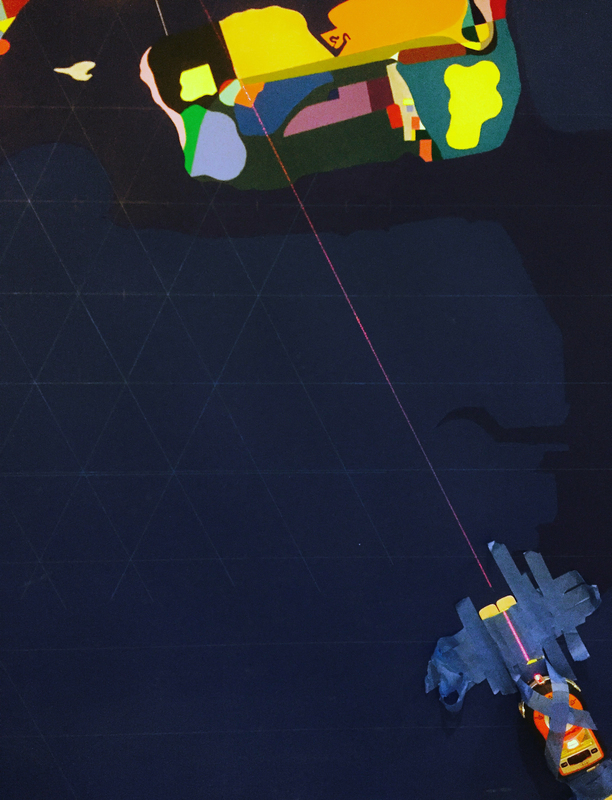 Their earliest collaborations involved an endless array of Lego houses and worlds. 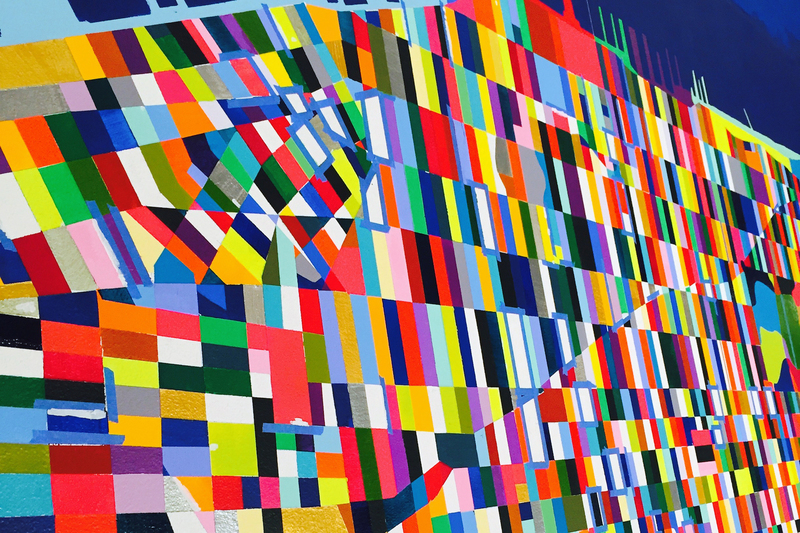 Jennifer is a Brooklyn-based visual artist and illustrator working with cartography. 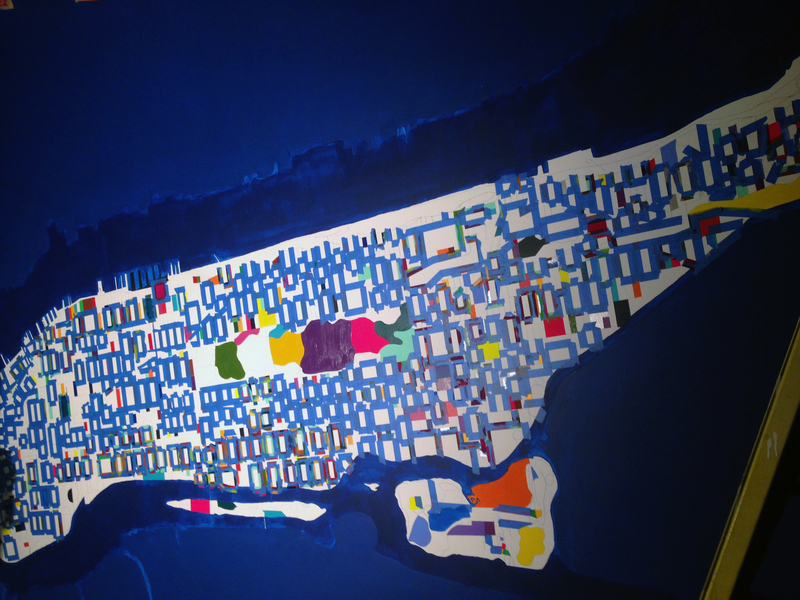 She creates portraits of cities and land in media ranging from found paper to watercolor with the aim of finding universalities across cultures. Matthew is a full-stack software developer living near Raleigh, North Carolina, with dabbling interests in visualization and user interfaces. 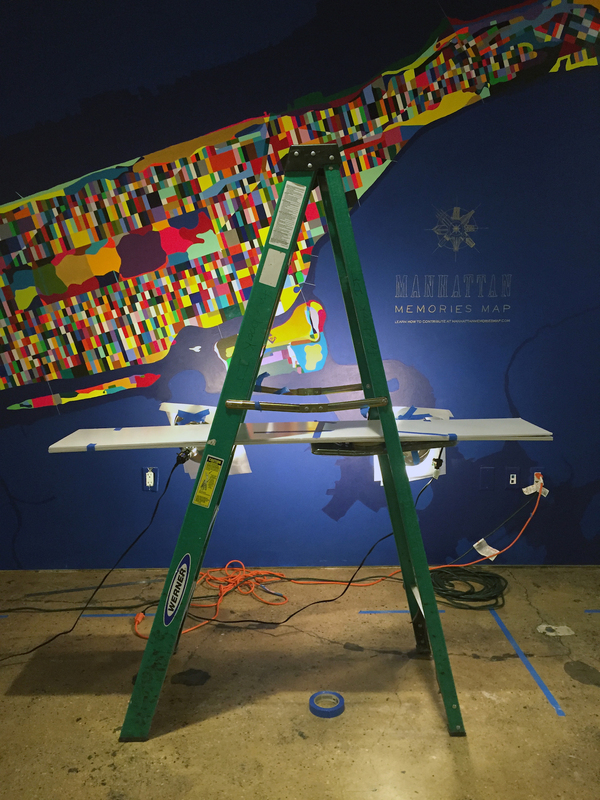 Type your memory as a Facebook post on the Manhattan Memories Map page or the caption of an Instagram photo. Add the location of where the memory happened. 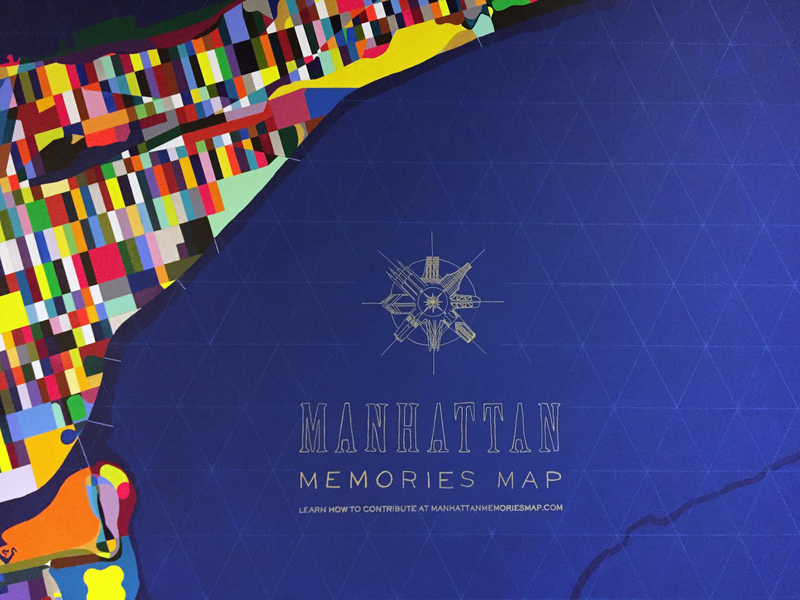 Follow or like the Manhattan Memories Map page for updates.